Hello all crafty friends. I am a new DT member for Die Cut Diva's. My name is Dawn and I have been making cards for about 7 years now. I love all things paper and ink. I enjoy trying out new techniques and challenges. You can find more about me on my blog - https://dipndotscreations.blogspot.com/. 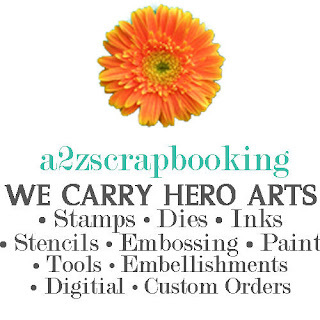 This month Die Cut Diva's sponsor is none other than A2Z Scrapbooking. I have chosen to use the Hero Arts Christmas Swirls digital kit for my card today. Come and join in all the fun and create some projects for the monthly challenge. Welcome Dawn! Love all the shimmery goodness on your card, and green is my favorite color! Great design and decorating of your Christmas tree. Wonderful card.